Metronome Recordings presents the complete works for harpsichord by François Couperin in a single box set to mark the 350th anniversary of his birth on 10 November 1668. Carole Cerasi, winner of the Gramophone Award for her recording of another great French baroque composer, Elisabeth Jacquet de La Guerre, embarked on this project to pay homage to one of the greatest composers of Louis XIV’s court. Carole has felt a particular affinity with Couperin’s music since first playing his works on harpsichord at the age of 11. 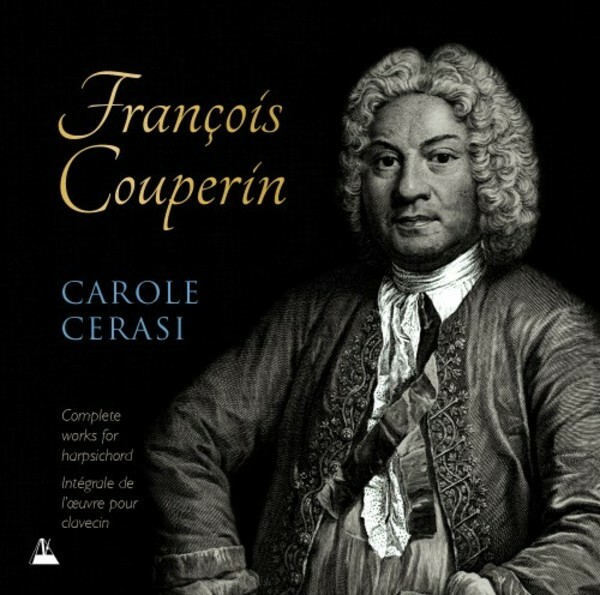 François Couperin was the most illustrious member of a musical dynasty second only to that of the Bach family. He was employed as court organist and harpsichordist, and gained the epithet “Le Grand” before the end of the 18th century. Carole Cerasi plays each of his four Livres on a selection of harpsichords, including two rarely recorded historical instruments, to elucidate and express the highly subtle “bon goût” that Couperin and Louis XIV’s court praised in music. 10-CD set in clam-shell box with 36-page full colour booklet and CDs presented in numbered card sleeves.